Bishop Noll senior David Robles enjoys showcasing his artwork and hopes to pursue an art career. 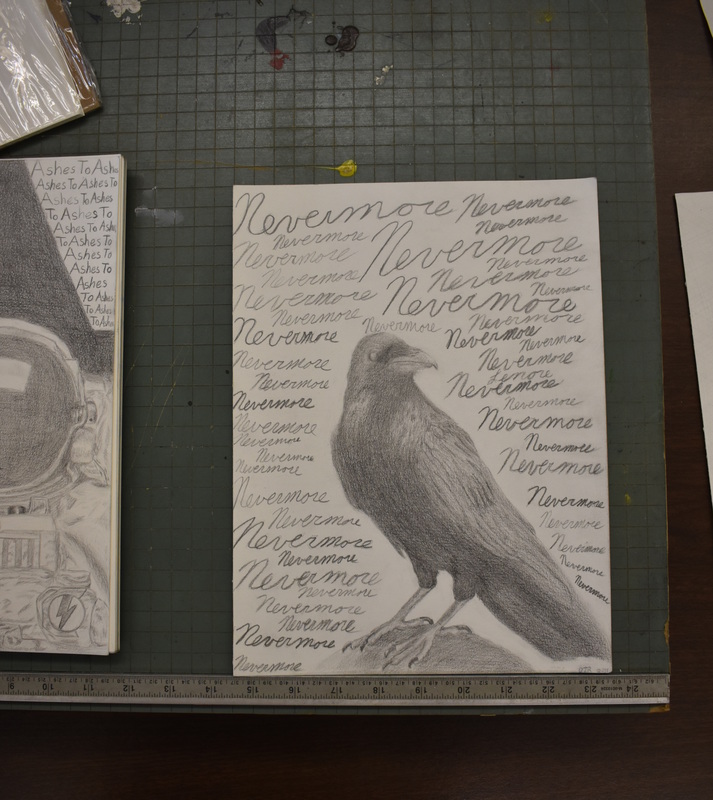 Bishop Noll Institute senior David Robles enjoys art because there are no limitations to what he can do. 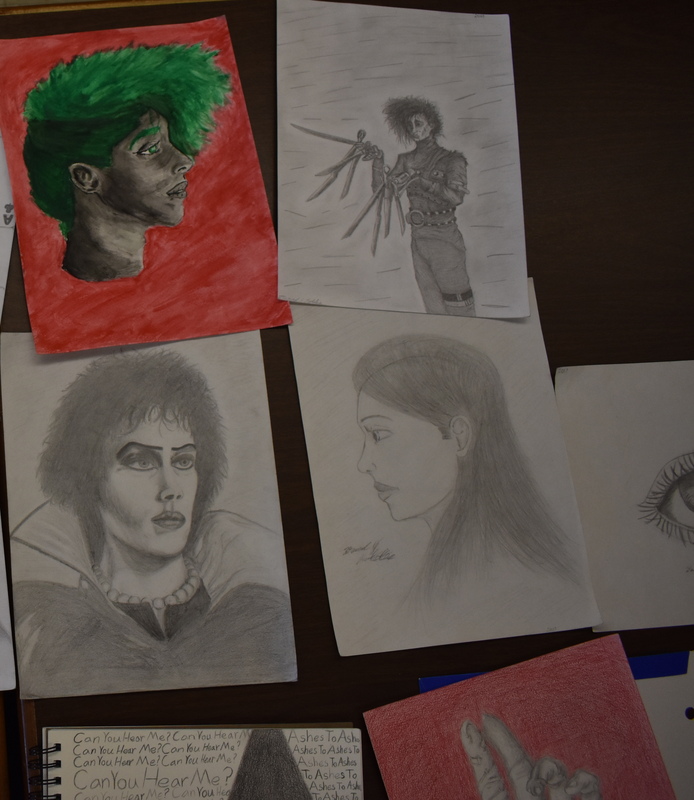 He showcased his talents through a gallery of his work during Noll’s Fine Arts Weekend, which highlights Noll’s artists, musicians and actors. Art teacher Mrs. Gwiazda said you can always find David sketching or coming up with creative ideas for what he wants to implement in his work. In addition to art, David, of Chicago’s Hegewisch neighborhood, is on the cross country and track teams at Noll. He is also trying to learn to play an instrument and collects bow ties. Robles’ artistic talents go beyond the art room. "As part of his theological formation, David was able to unleash some of his talent by channeling it though his theological worldview. We did see a glimpse of his passionate, dedicated, and artistic work in class and we foresee a bright future ahead of him," said BNI theology teacher Mr. Castaneda. “I always enjoyed getting David’s anatomy color sheets because there were always little extra doodles on them. They were funny and pleasant to see,” science teacher Mrs. Schmidt '70 said. In addition to classes in drawing and studio art, Bishop Noll offers courses in choir, band and theater. For more information on the Fine Arts Department, call (219) 932-9058.